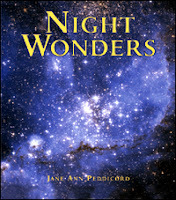 Jane Ann Peddicord's first book, Night Wonders, (a journey through the universe in poetry, pictures, and prose)(Charlesbridge, 2005), won the 2006 International Reading Association Children's Book Award in the category of Primary-Nonfiction [interior spread]. 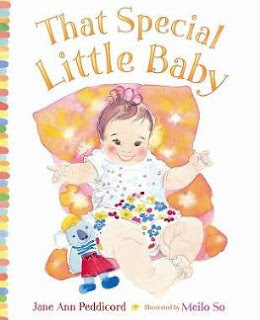 That Special Little Baby, a picture book celebrating baby beginnings and toddler triumphs, illustrated by Meilo So, was released by Harcourt in 2007. Kirkus Reviews cheered, "This joyful testimony to a child's progression is bound to appeal to a pre-schooler's sense of pride in their recent gains." Publishers Weekly declared, "Preschoolers will adore seeing themselves become so mature—and so will their parents." Jane was a featured author at the 2006 and 2007 Texas Book Festivals. 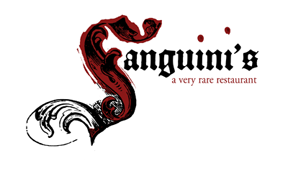 In November 2006, the Austin area Barnes & Noble stores named her their Author of the Month. She currently lives and writes in the hill country near Austin, Texas. The first speaker I heard at the first writer's conference I ever attended, said emphatically, "Don't try to rhyme. You are not Dr. Seuss." Of course, like many novice picture book writers, I was trying to write in rhyme. I took his warning seriously, but I couldn't do anything else. I was not an English major and had studied the craft only enough to do legal writing, which as everyone knows, is not suitable for children. So I stumbled on, rhyming everything I wrote—even a story about the Theory of Relativity. But I did take care not to sound like Dr. Seuss. Finally, I found an editor who liked my verse about traveling through space (Night Wonders (Charlesbridge, 2005)). Oddly enough, she was from the same publishing house as that first nay-saying speaker... Poetic justice? Congratulations on the release of That Special Little Baby (Harcourt, 2007)! What was your initial inspiration for writing this book? That Special Little Baby was born of pure, postpartum love. Cliché as it sounds, there is no greater joy than watching your newborn breathe and stretch and miraculously smile. This love affair continues for life, of course, but the initial jubilance eventually recedes into the background of day-to-day life. I was reminded of those intense early years when we visited some friends who were immersed in the love of their own newborn child. As we drove out of town, I jotted down the first lines of That Special Little Baby. I had only to look at my own young teens in the back seat (at least while they were sleeping) to be transported back to those first, very special years of life. I wrote the initial text in a couple of months, very fast for me. Bringing the book to life took much longer. One tricky element of Special Baby is that it goes back and forth in time. I was lucky that it landed in the hands of a talented editor, Samantha McFerrin, whose vision for the book integrated those transitions seamlessly. Most challenging for me, being relatively new at this, was making the adaptations necessary to merge the text with the illustrations. But I'm delighted with the outcome and the lush watercolors of Meilo So that seem to carry the reader along on a rising tide of joy and accomplishment. 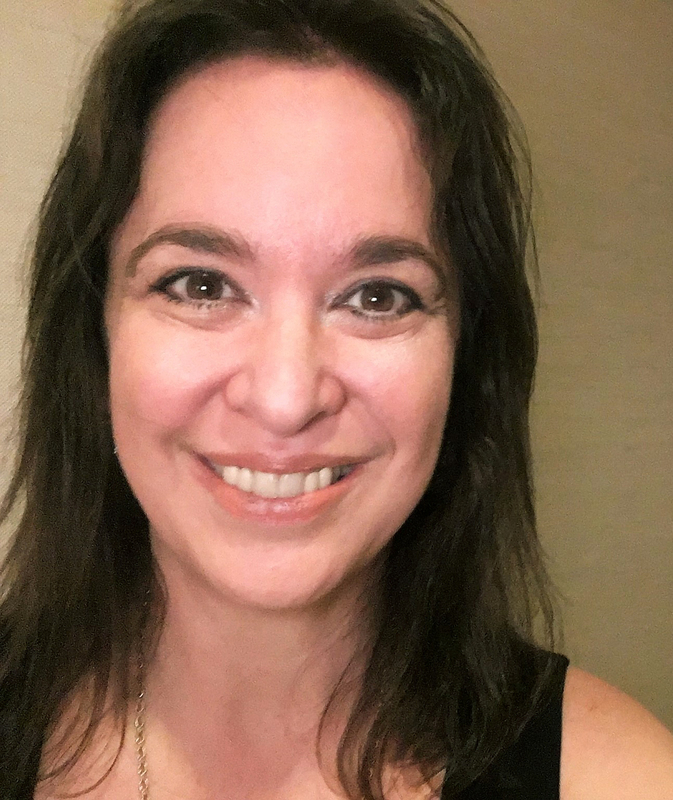 After signing Night Wonders, I was lucky enough to get a good agent (Rosemary Stimola; agent interview), and she managed to sell my next text very quickly. This reinforced the mistaken impression that once I was published, everything I wrote would sell. But subsequent dry spells forced me to consider the truth of what editors often say to deaf ears; it all comes down to the writing. Of course, there are factors beyond our control, like mercurial market demands. And it's essential to find the right editor, which is where a first-rate agent like Rosemary comes in. But chances are that if a text is good, eventually an editor will take note. So, what I would tell myself back when I was beginning (and what I do tell myself now that I am more likely to listen) is to write, write, and rewrite until you know in your bones that what you've written is good. Then hope for a little luck. You have beaten the odds as a new voice in picture books during a tough market swing? What would you say specifically on this topic to aspiring picture book writers? This sounds obvious, but don't give up! You'll hear statistics about the gazillion submissions an editor receives, and feel that it's hopeless. But it isn't. I'm convinced that the majority of manuscripts clogging editor's IN boxes come from people who give up quickly or don't try to improve their writing. If you keep developing your skills and submitting ever better texts, your chances of success will increase dramatically. You're one of the several lawyers-turned-children's-authors here in Austin (Ruth Pennebaker, Greg Leitich Smith, Louis Sachar). What did your legal training offer that is useful in your new career? When not writing, I make lunches, fold laundry, pester my son into doing his homework--all the everyday business of family life. One thing I really like about writing picture books is that I can carry the work around with me inside my head. Whether I'm sitting in traffic or chopping celery, I can think about a line from my current story. It's a lot more interesting than talk radio. Another thing I like about writing for children is that you can delve deeply into one topic, like outer space, and then move on to something completely different, like babies. That is an ongoing challenge. I've made some attempts at promotion, developing bookmarks and a website. I enjoy speaking to children about the content of my books and the writing process, and am happy to speak to other venues about the books, as well. But I really prefer writing to promoting, and have convinced myself that the best way to achieve recognition for my work is to produce more of it. So I spend most of my work day writing. I'm finally letting go of rhyme and working on a fairy tale, which is very fun, and a middle grade novel, which may be a lifelong project.